We have 4 mini-suites and 6 connecting units. Standard rooms have 2 full-size beds. 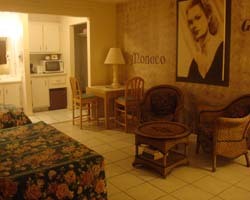 We also have units with king size beds, 11 allergenic rooms and 3 rooms for handicapped. All rooms are fully air-conditioned, and furnished with direct dial phone, remote color TV, refrigerator and coffee maker. A microwave oven, toaster, and hair dryer are available upon request. 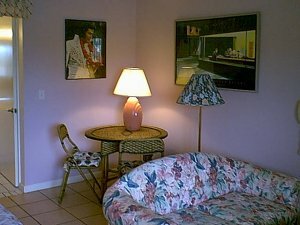 We also have daily maid service, guest laundry and ample private parking with handicapped access.